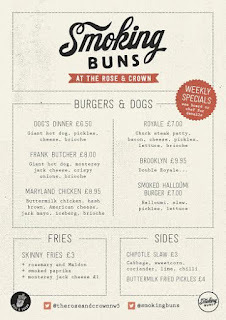 The Rose & Crown in Torriano Avenue, NW5, has started doing streetfood residencies, and Smoking Buns are now serving until 9pm on Thursday - Sunday. 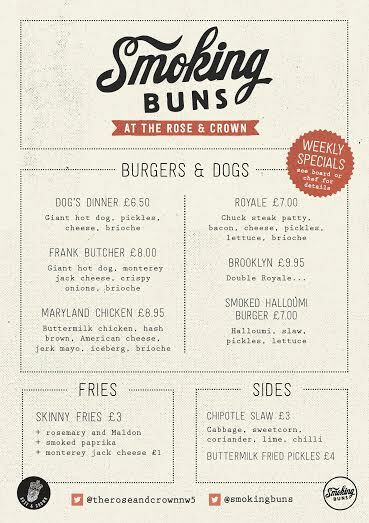 The food is burgers and hotdogs including the Frank Butcher and the Maryland Chicken, plus fries and sides. "So what are the ‘Buns all about? Basically, well-sourced, provenance-aware, kookily-named sandwiches (priced £7 upwards): think burgers, posh dogs (called things like the Frank Butcher and Dogs Dinner), buttermilk fried chicken, squid and chorizo. 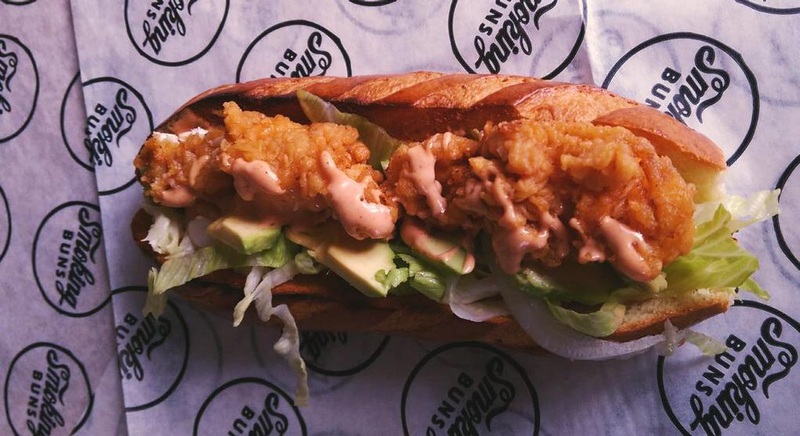 To top it all off, there’s a signature mouthwatering KFL (Kentucky Fried Lobster) at £12 – buttermilk fried lobster tail with paprika mayo and iceberg lettuce on brioche. OMG. Sides come in a variety of skinny fries, chipotle slaw and fried pickles."